This book is concise, quick, covers all bases, and full of references. If you want fast knowledge, scientific writing, on our current understanding of diet and how human evolution has impacted on how we process our diet, then this book is very good. I am an IB biology teacher and this is exactly the depth I need to be "on top of my game", and "above and way-beyond the syllabus" whilst teaching higher-level biology to 18 year olds.There are a couple of chapters on economic policies and how poverty etc affect the diets of those in modern society. 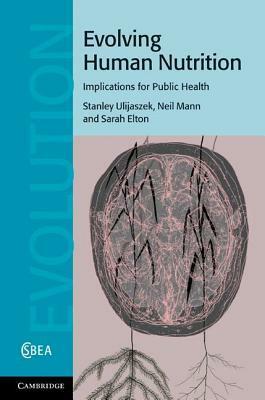 Generally these chapters weren't for me as they moved away from food science and evolution, and towards health management.I would recommend this book to anyone who already has some biological sciences background and wants to know more about our understanding on diet.